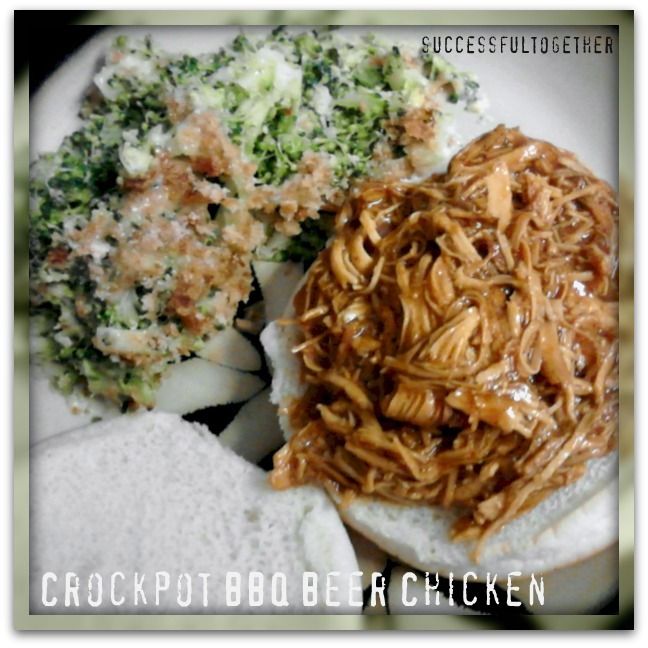 I think most people love a good crockpot recipe. This dandy little machine that I didn't want but registered for as a wedding present anyways has come in handy and has been so helpful over the past few years! For those of you who saw YESTERDAY'S POST, this is another recipe from The Bitchin' Kitchin' Blog. And it is Absolutely fabulous and very flavorful! Combine the dry spices and season the chicken breast. Add chicken to the crock pot (I used a 6 qt). Top with hot sauce, beer and BBQ sauces. Cook on low for 5-8 hours or until cooked through and chicken easily falls apart. Serve and Enjoy! That looks like an awesome shredded chicken. Falling apart chicken and BBQ sauce yum.